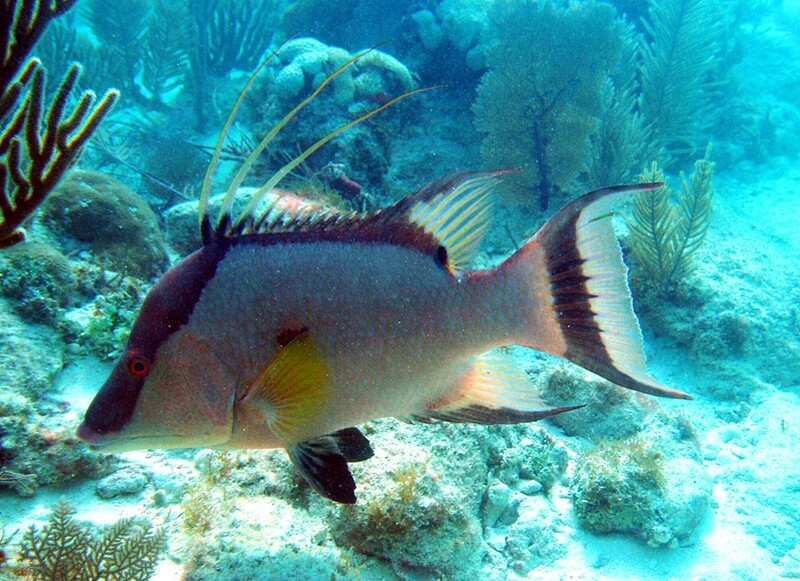 This is a Hogfish about 14 inches. Photo by Rod in about 20 feet water. Features: 1. First three spines of dorsal fin ar long (as seen clearly above); 2. Black blotch near end of dorsal fin. This is a Hogfish about 14 inches. Photo by Rod 03 Feb 04 in about 4 feet water. Location was offshore at Pennekamp Park.